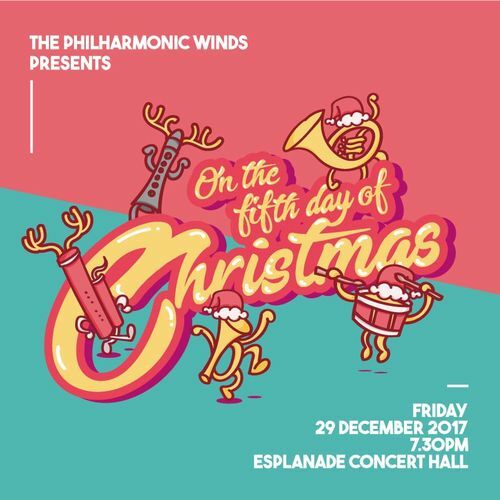 Let The Philharmonic Winds bring you to an enchanting world of music this holiday season! Under the baton of Music Director Leonard Tan and guest conductor Ignatius Wang, the wind orchestra has prepared a selection of music that will move, excite, and entertain you. 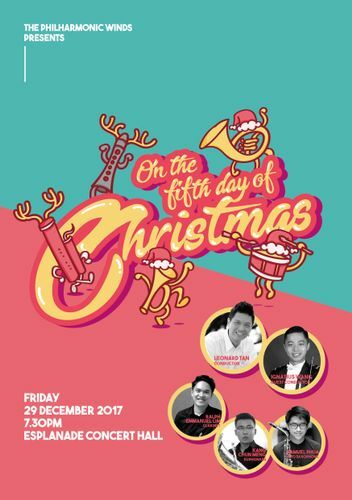 The concert features some of Singapore's finest young talents including Samuel Phua and the ensemble’s very own Kang Chun Meng and Ralph Emmanuel Lim. Samuel Phua (alto saxophone) will perform the Tosca Fantasy based on music from the same-titled opera by Italian composer Giacomo Puccini with all its passion and drama, while Kang Chun Meng (euphonium) will present Fantasia Di Concerto by Eduardo Boccalari, one of the best works for euphonium from the turn of the century with lyrical melodies and demanding technical passages. Bringing you back to the era of swinging big band is Ralph Emmanuel Lim (clarinet) with Artie Shaw's jazzy Concerto for Clarinet. Last but not least, guest conductor ME4 Ignatius Wang of the Singapore Armed Forces Band will lead The Philharmonic Winds in Percy Grainger's Children's March. Marking the festive season, The Philharmonic Winds will also present The Snowman, composed by Howard Blake. The piece is based on Raymond Brigg's charming, award-winning tale of a young boy and his wintertime friend sharing a magical night of friendship, fun, and flying. Not only will audiences get to enjoy a film featuring the illustrations from the book, the Zhangde Primary School Choir will also join the ensemble on stage for a special rendition of Walking In The Air. A concert to enjoy with family and friends...on the fifth day of Christmas!